home / Multimedia / The Holy Land in news / With the Italian Episcopal Conference in schools to reduce .. 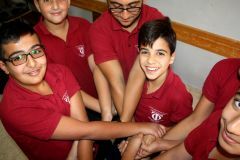 According to a recent study done by UNICEF, violence in Palestinian schools is growing: almost 50% of children assisted to episodes of violence in class, 51% admitted to have used aggressive behavior towards their peers, and even teachers complain about violence in class or admit to have used or experienced violence, both physical and psychological. In a context full of tensions like Bethlehem, civil society wants to address the problem starting with children, adolescents and young people in order to form new generations teaching them how manage their own behavior and to build relationships of peace and openness towards one another. This kind of intervention has never been so urgent before. For this reason in 1994 the Wi’am, Palestine Conflict Resolution / Transformation Centre was born. Wi’am is a local organization that aims at training teens in schools through peer mediation and conflict management courses. Within the project, CEI 906/14 “Women, young people, the elderly – support for the neediest of Bethlehem” funded by the CEI-Committee for Charitable Interventions in the Third World, Association pro Terra Sancta has made an agreement with this renowned local organization for a two-year program of activities in three schools in Bethlehem, Beit Jala and Beit Sahour. About 90 students between 11 and 12 years of age will benefit of the courses. Thanks to the cooperation of headmasters and teachers of these schools, in mid-October they started the first meetings that will develop through creative activities, discussions and open debates. It is important to underline that, within a closed context in rigid compartments, this program go on purpose in the few mixed schools and inclusive regardless of gender and religion. At the same time, targeted workshops for parents will be provided as well as documents and manuals for the teachers, to deal with adolescents. 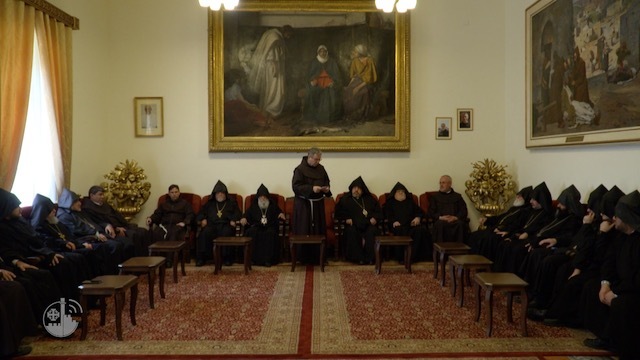 This agreement is part of a larger three-year initiative supported by the Italian Episcopal Conference and the Association pro Terra Sancta to strengthen the role of women and young people within the local society, and to help the elderly who are often forgotten and left alone. Discover other activities with the children of Bethlehem!